We all know servers have it hard, but this 18 minute film lays out exactly how hard they have it. 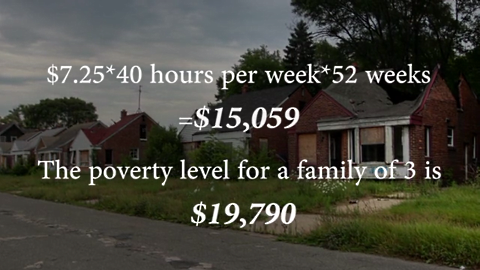 The Tipping Point: A Short Film on The Lowest Wage from Anna Savittieri on Vimeo. Filmmaker Anna Savittieri took to Kickstarter to fund her 18-minute short film that explores what’s at stake for the millions of servers and bartenders who rely on the country’s federal tipped minimum wage for a living. The film makes a strong argument that restaurants should do away with tipping entirely, and instead pay all workers—including servers and bartenders—a living wage. We think she raises some very important points. The $2.13 federal tipped minimum wage has stayed the same since 1991. That’s 23 years. Some of the people who are trying to make ends meet on that wage weren’t even born when that rate started. Regardless of those two points, the $2.13 is a minimum established with some degree of hopefulness that after tips, those tipped employees will make at least the current federal minimum wage of $7.25 an hour. 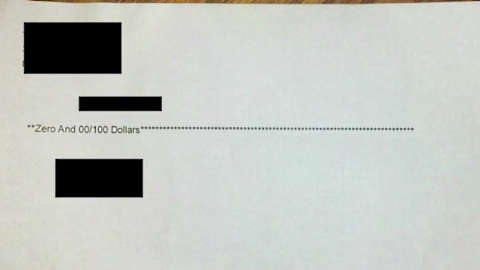 However, because that doesn’t always happen, those employees are supposed to receive what’s called a “Tip Credit,” where employers pay the difference to those employees so that they do make at least that $7.25 an hour. Of course, that doesn’t always happen. Some employees are paid strictly in cash or off the books—this combined with shady employers are unfortunate everyday facts of life that you sometimes live with if you’re a server. If you aren’t even getting that, it’s even harder. President Franklin Roosevelt was especially eloquent on this topic in 1933, when he said, “No business which depends for existence on paying less than living wages to its workers has any right to continue in this country.” Savittieri’s documentary also pulls up this quote. One worker Savittieri interviewed explained that if your $2.13 minimum wage doesn’t adequately pay for taxes, you might be stuck relying on just your cash tips to get by. 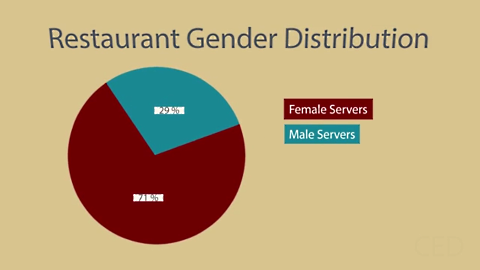 Savittieri spoke to some servers and quoted several papers written by recognized tipping expert Michael Lynn to demonstrate how server attractiveness, gender, and race all play roles. Server Maria King said that she was especially disappointed when she realized that she and fellow servers felt forced to engage in some degree of racial profiling to figure out whether they’d get any tips or not from their customers. Boston residents might remember a particularly infamous restaurant wage theft lawsuit from several years back: the case of The Upper Crust pizza chain. Savittieri spoke to lawyer-turned-restaurateur Shannon Liss-Riordan about the class-action lawsuit that she says is “the most egregious” one that she has ever prosecuted. A 2009 investigation into wage theft throughout the chain forced The Upper Crust to pay its employees $340,000 in back wages. Liss-Riordan got involved when The Upper Crust forced its employees to pay back that $340,000 or else lose their jobs. 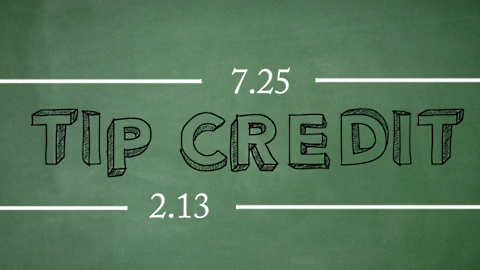 The Upper Crust ended up filing for bankruptcy, which threw 140+ people out of jobs immediately. Liss-Riordan tried to find an investor to buy the entire chain, but couldn’t do it on such short notice. So instead, she and her husband did the next-best thing and bought just one location, at which they hired back as many Upper Crust employees as they could—at decent wages, and with an ownership share in the restaurant. 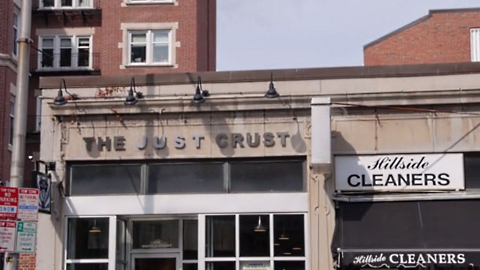 They called it The Just Crust, and if you believe Yelp reviews, they make some pretty decent pizza. 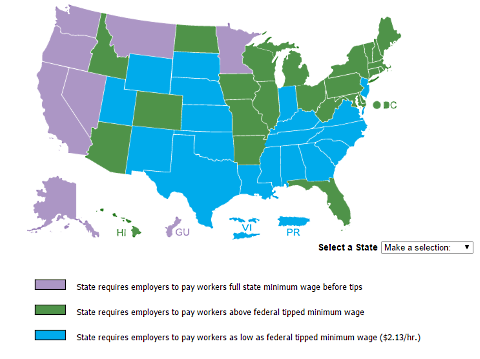 As is the case with federal minimum wage, states may have individually determined tipped minimum wages that are higher than the federal tipped minimum. The U.S. Department of Labor Wages and Hours Division has the most current information about every state. This is all particularly interesting in light of the fact that non-tipped minimum wages are rising in 21 states with the start of 2015. Savittieri’s film makes a strong argument that all restaurant employees should be paid this way, not forcing some to subsist on a diet of tips and sexual harassment (which 90% of women in restaurant jobs experience). But even if you think that the tipping system should continue, it’s impossible to see how anyone can argue that a wage should remain stagnant for 23 years.